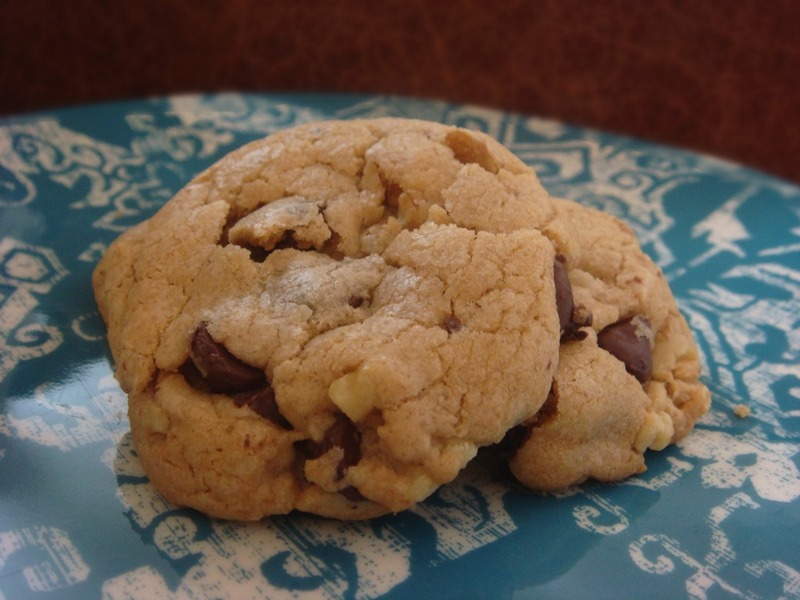 You can never go wrong adding a thick, chewy delicious chocolate chip cookie to your Christmas plate. Cornstarch and an extra egg yolk make these soft and chewy. In a mixing bowl, beat butter and sugars until light and fluffy. Beat in egg, egg yolk and vanilla. In a medium bowl, mix together flour, cornstarch, baking powder, baking soda and salt. Beat into butter mixture. Stir in chocolate chips and walnuts. Drop by tablespoonsful onto baking sheets. Bake for 8-10 minutes. Cool on wire racks.